With Wear Indicators & Presta Drilling Eyelet. A very high quality rim in the 349 size, with ABT (advance brake track) machined sidewall, with eyelets, drill valve to schraeder if needed. Fantastic service from SJS, rims arrived promptly, Thses rims are top quality, obvious that materials used in their construction are top notch. Had to drill out for valve. Excellent value for money. hi will schwalbe 16 x 1.35 tyres fit these rims okay? Yes these will be fine. Which spoke length ist recommended for this rim and a Rohloff 32 hole? 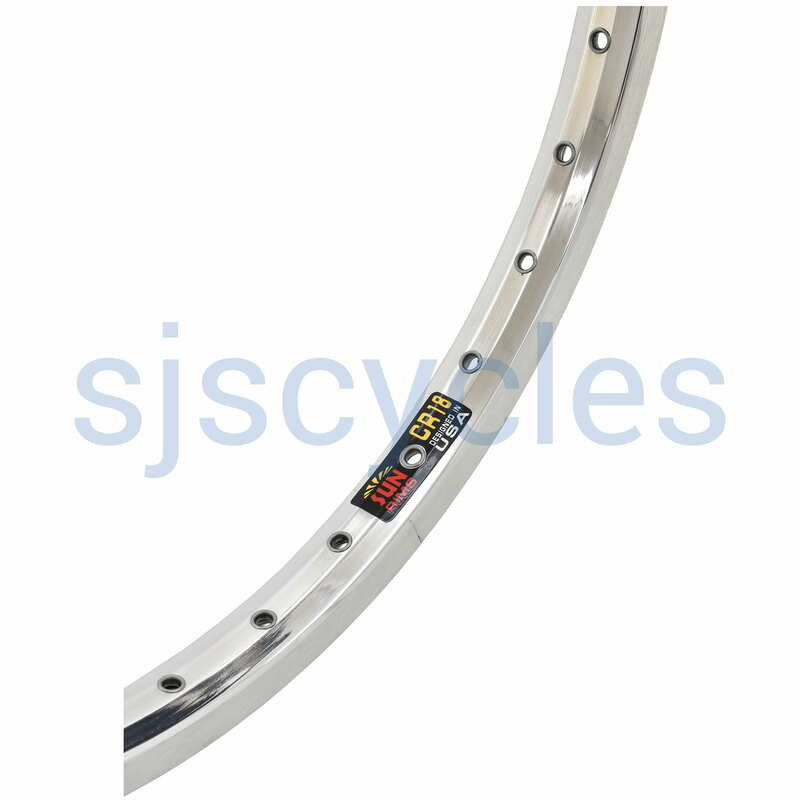 This is a 36h rim, I have replied to your question on the 32h rim re 32spoke count Rohloff lengths. One more answer please, i will buy titanium fork from vostok.bike. It has disk brake mount. When i will change front hub, it will be disc conpatible also right?? The rim will be disc compatible, It would depend which hub you put into it which would dictate whether it was disc compatible or not, As this is just the rim not a whole wheel. Hello, Is this suitable for Brompton? I will change my gear hub with Rohloff of Alfine. They need 32 holes. It has v brake also and Schwalbe Marathon. This rim will work fine with your brompton.